Aiding in the process of obtaining State and/or Federal recognition. Assisting in the protection of Native American burial sites and other culturally significant sites. Organizing and maintaining a database of resources specific to Native American history and culture in Maryland. Publishing information and giving presentations on the culture and accomplishments of Native American groups in Maryland. Serving as a statewide clearinghouse of information for and about the Native American communities of Maryland. Identifying and providing recommendations on unmet social and economic needs. Bringing awareness of and support for physical and mental health programs for Native Americans. Encouraging and promoting economic development in Native American communities. 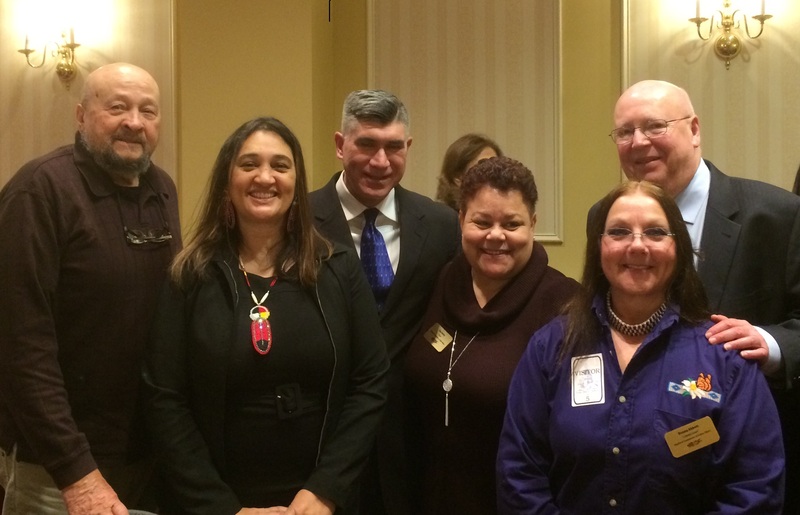 The Maryland Commission on Indian Affairs is composed of nine members appointed by the governor of Maryland and confirmed by the Maryland State Senate. A majority of these nine members must be American Indian residents of Maryland, and at least three members must be from American Indian groups indigenous to Maryland. Each member of the commission is appointed based on a demonstrated knowledge of American Indian culture and history, and understanding of the needs and concerns of American Indian communities. Commissioners are appointed a term of three-years, and can serve up to six years consecutively. In the event a successor has not been appointed at the conclusion of a commissioner’s term, the commissioner may continue to serve on the commission until one is appointed.